I am a picky reader. I love reading, but it does not happen very often that I am totally satisfied with a book. I am also a big movie watcher, and the same goes for film. I think my brain is just too active for my own good…I can never just let the plot and the characters go on as they please. I always have to think of how else it could go, too. But every so often, a magical thing happens. I am completely happy with the way things turn out in a particular movie or film. The plot or the characters are just perfect, and I feel so good when I close the book/turn off the movie (though a little sad that the perfection is over). Okay, it really does rarely happen, but it is awesome when it does. So today, I thought I would talk a little about one of the things that makes these rare moments happen. That is the perfect relationship. I don’t (necessarily) mean love here. I just mean that certain characters, whether lovers, friends, family, or even enemies, just work so well together that it makes me smile like crazy. This is such a tricky thing to write, whether for a story, or a script. It is not necessarily something that all writers strive to achieve (some relationships are meant to be tragic, awkward, boring, etc. etc. ), but I think it’s very difficult to produce, even if that is the intent. This is because such relationships can’t just be insta-produced. Sometimes, writers work to get that perfect relationship, and it ends up being *too* great, which in turn makes it not great at all. Relationships on page or film can be just unique as relationships in real life; just because two people should work, it doesn’t mean they will, and vice versa. Relationships are so subjective, too. What works for one person doesn’t work for another, so I really think this is one of those things that has to happen not simply from talent, but from a natural chemistry that flows between the characters. There are definitely more than one case of these great relationships for me. They stick in my mind and make me happy just to remember them, but for now, I’ll offer up one instance of this, as an example. I love The Secret Garden. To me, it’s a book full of magical reality, and that is fantastic. 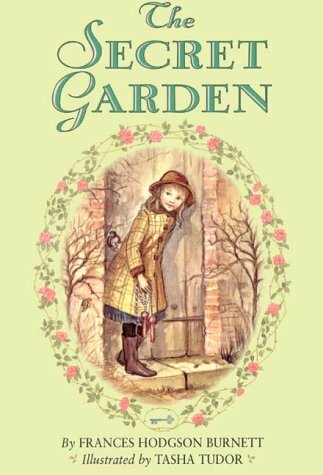 If you don’t know, The Secret Garden tells the story of Mary Lennox, whose neglectful parents die when she is a girl. Mary is shipped off to live with her uncle in England, to a dreary place called Misselthwaite Manor. In the beginning of this tale, Mary is a terribly rude, ugly child. But as she discovers a forgotten garden and begins to make friends at Misselthwaite, she learns to be a much kinder girl. Colin Craven is her cousin, who Mary only discovers part way through the book. He is supposedly very ill, and is constantly on his death-bed. But the truth is, he’s really fine, and has been as neglected by his father (his mother is dead) as Mary was by her parents (though for different reasons). Together, they each improve each other’s lives, and become great friends. Both Mary and Colin begin their roles in this novel by being total brats, and the reader knows it. It’s not the children’s fault; they have both been terribly neglected, and treated horribly their whole lives. Mary has been spoiled and ignored by her parents, while Colin has been treated like a diseased creature, the idea that he’ll die at any minute always hanging over his head. But no one teaches these children to be better; they teach themselves, and they teach each other. These two characters work so well together because even as strangers, they have so much in common. They are family, but more than that, they both know what it is to be spoiled, and neglected, and disagreeable. Together, these two had the potential to be an utterly dreadful pair; they could have fought and hated each other, or teamed up to rule the Manor with their tantrums and demands. But happily, this is not what happens. Rather, they show each other what it is to be happy, and they are just lovely together. My absolutely favourite scene with these two does happen with a mutual screaming match, however! In one scene, Colin throws a particularly bad temper tantrum. He kicks and screams and none of the adults know how to calm him down. Mary, however, marches into his room, stands next to him, and begins to scream right back at him. She is fed up with his tantrums, and she lets him know it! The result? Colin calms down, and the two end up having a great discussion. Brilliant. So that is one of my favourite character relationships. As a writer, I hope to someday make someone feel that way about some of my characters, too! Anyone else have any really memorable character relationships from their reading/watching experiences?